Practice Japanese with anime conversations. - Listen to a conversation: a list of phrases. - After each repeat, any phrase has been seen enough will be replaced by a new phrase to learn. - Best used as an intermediate practice tool. - Combine with SCRIBE ORIGINS series to learn basic vocab and kanji. - Your progress for each phrase is tracked in the background, so you don't repeat phrases too frequently. - Phrases are randomised in semi-artificial conversations, so there is some "variety" to keep your mind awake. - Focus on listening, and translation recall. The two most important skills for everyday socialising. StudyChat Japanese is designed for you as the intermediate-level traveller who wants to become familiar with phrases from different situations. If you already know the basics of the language and you want another tool to practice with, then this is for you. 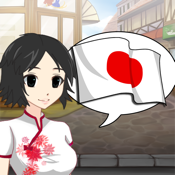 StudyChat Japanese has been intentionally designed as a fun supplementation to existing study methods. There are many excellent resources for learning grammar and vocabulary. But there are few tools, aside from watching TV with subtitles, that simulate conversations for practicing what you have already learnt. 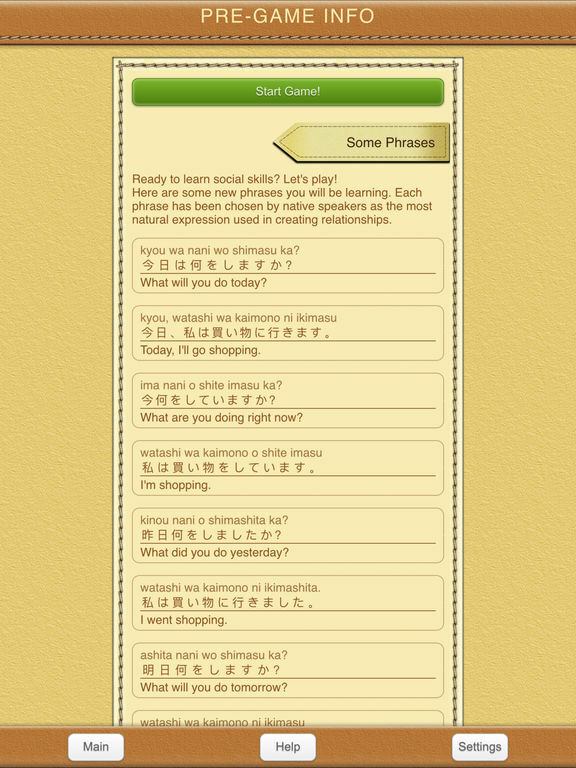 StudyChat Japanese also includes a bucketload of background and character styles, to keep your mind as interested as "study" possibly can be. "I gotta say I love your app"
"So far I think it's fantastic. The most creative language app I've ever seen. No other has managed to combine an interesting light novel manga style with learning a language." "This is a great learning tool"
"Hello! Your app is simply amazing!" "Best learning language app ever! Was worth everytime cent!" "I want to say I absolutely love this app. Ever since I've downloaded it, I have been using it at least half an hour everyday. I have recommended it to my friends in class! Your app is so awesome that I decided to use the in app function to purchase the upgrade to unlock over 1000 new sentences." "I love this it's awsome"
"I love this app!!! I always wanted to learn how to speak!!!" "I love this app! I love learning new languages and love to widen my knowledge on other countries. This app is very handy and the graphics are good, the phrases are easy to understand too." "Your app is a really fun learning tool." "Thank you for creating the app...."
"I love this app so much"
"I love these apps. They awesome and I use the constantly. The artwork is great to and I love that I can slow down the speech and learn the words properly. This is a HUGE help as this is the ONLY app I have found that offers this feature." "This is amazing, please continue to do what you do, much love and support :-)"
"The app is awesome thx for putting it out there"
"I love this it's so cool"
"Thank you for this wonderful app!" "I love this app!!! <3"
"I love this app it's awesome :)"
"Great app, I like it. Thank you!" "This is the best studying app 0.0"
"I think that this is a great app idea!! Thank you very much"
"I really love this app..... It's cool :)"